Bask in relaxation as 58 hydrotherapy spa jets whisk you away to a tropical paradise. 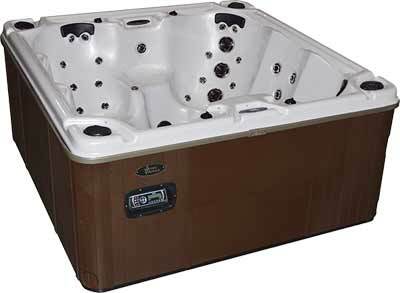 You and your family will enjoy six comfortable seats that conform to your body's natural lines to deliver uninterrupted hot tub relaxation. Each seat also features unique spa jet configurations to deliver a full back massage from seat to seat for a unique experience each time you get in. Lean back and relax as comfortable pillows caress your head. The included waterfall soothes your mind with relaxing sound of falling water. 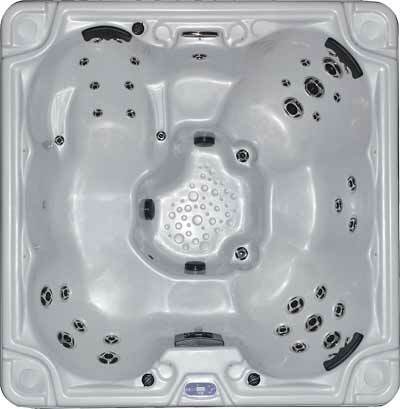 Best of all, you can relax with peace of mind knowing your hot tub water is free of contaminants with the included Ozonator that purifies your water naturally with harmless ozone. This is your escape from the everyday, any day. Bring home the Escape E758B today!